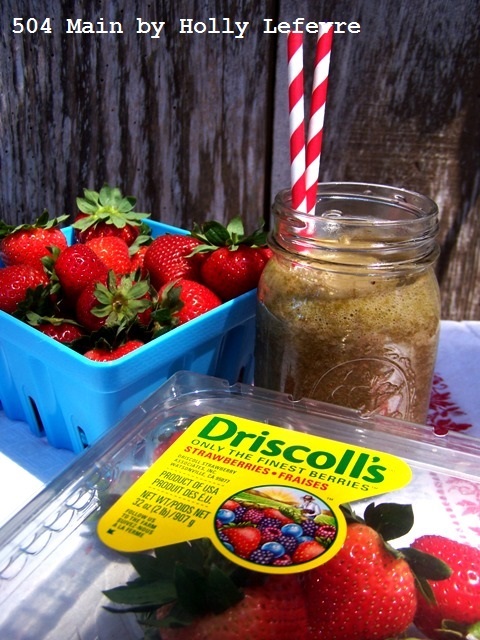 I love - seriously love berries - strawberries, raspberries, blue berries and blackberries - and I jumped at this opportunity from Collective Bias® to shop for Driscoll's berries at Lucky Supermarket and create a fresh summer recipe! In this house we anxiously await berry season - sweet magical goodness! As much as we love good ole berries just as they are, we also love cooking and baking...and now drinking berries! 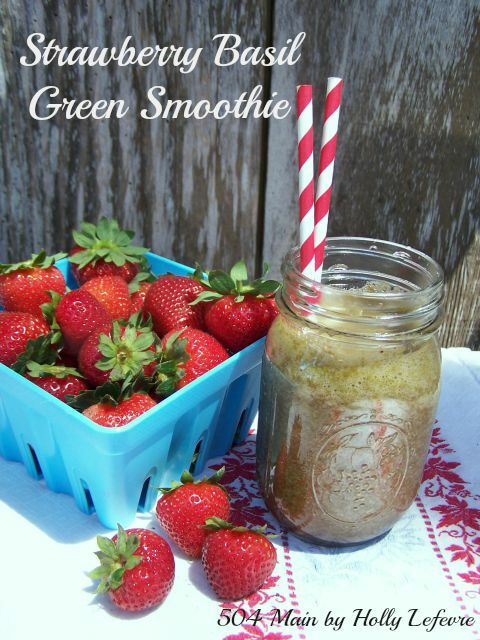 We have been drinking green smoothies for a long time now...and recently began experimenting with adding savory flavors to the fruit. 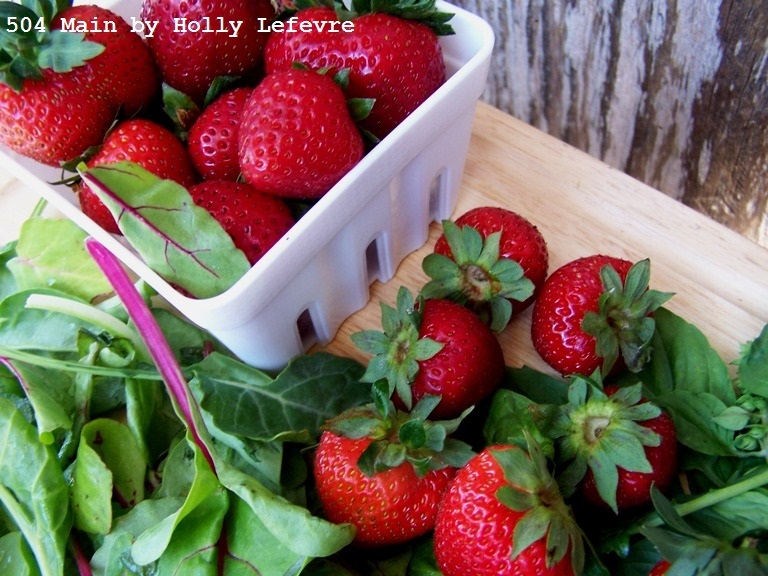 To me the combination of strawberries and basil seemed fresh and perfect for summer....and a special treat to share with my girlfriends or MY KIDDOS! 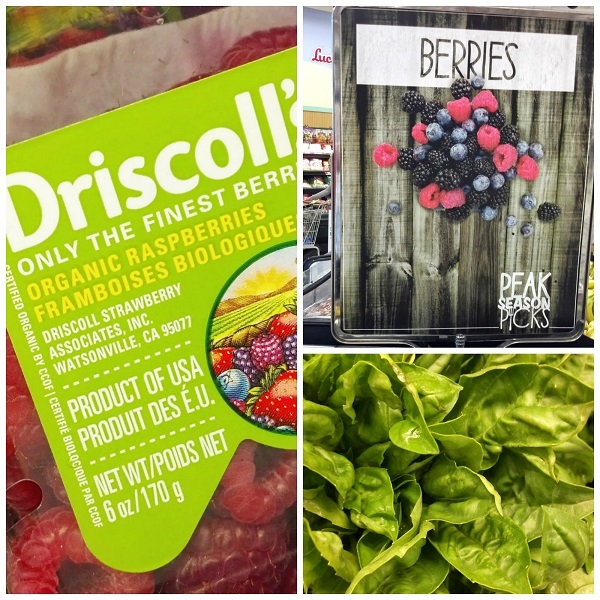 I headed to Lucky Supermarket to shop for Driscoll's berries and was so happy to find a gorgeous display of berries as soon as I entered the store. I happen to know a very knowledgeable "berry person"- he told me the key to keeping berries fresh is dependent on how quickly they get from the vine to refrigeration. Most of the time I see berries on a regular produce shelf. At this Lucky Supermarket, I got "lucky" the berries were refrigerated..and you know what... the berries lasted for over a week in my refrigerator. Why were there still berries after a week, you may ask? I bought so many berries...like seriously stocked up on this shopping trip. Read more about my shopping trip on google+. 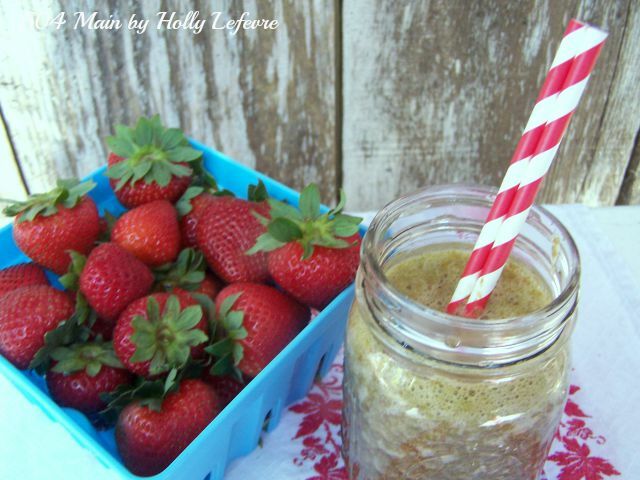 Now here is how to make a deliciously sweet with a hint of savory green smoothie! NOTE: You can adjust the ratio of berries to basil to greens to suit your tastes. I happen to like this combination. 2 Cups of berries. You can use all one type or a combination of berries. I used strawberries. Tools: Blender. I have a high power blender...depending on your blender it may take longer to blend the ingredients. Place the water and greens in the blender and run until thoroughly combined. Add the strawberries, and blend until smooth. to share with your friends at the end of a long day. 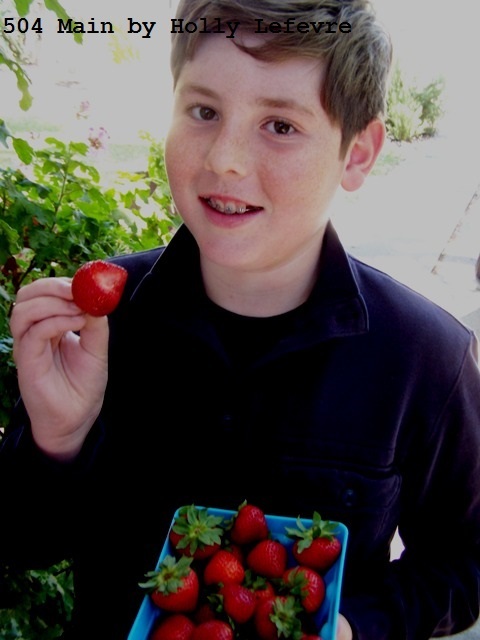 So do you love berries? 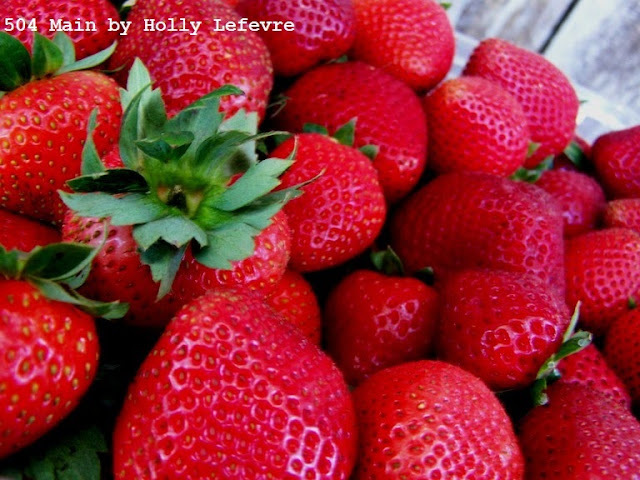 What do you like to make with berries? 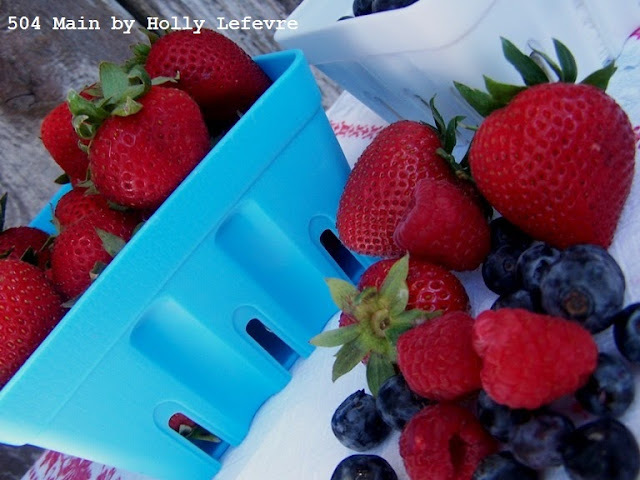 One last berry tip...only wash them as you use and need them! Mmmm, I love berries. The combo with basil looks amazing! mmm...sounds like a wonderful smoothie! Love the photo of the boy, especially! Such a sweetheart!